KABUL, 13 January 2018: The Afghanistan Research and Evaluation Unit (AREU) launched one of its recent research papers in a meeting attended by community representatives, civil societyorganizations, government officials and media at the AREU Office on 13 January 2018 in Kabul. Kabul citizens are willing to vote in October 20th parliamentary elections to exercise their franchise in strengthening democracy and reforms, even though trust levels on the electoral process is at lowest ebb. 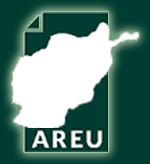 Afghanistan Research and Evaluation Unit (AREU) has a variety of experts who may provide media interviews. Media inquiries should be directed to communication@areu.org.af with the subject line "Media Inquiry." Media representatives are also welcome to call +93 (0) 202212415 during official hours. AREU publications are available freely in three languages. English, Dari, and Pashto. You can download our publications and use it for reference online or visit AREU and collect your printed copy of each one.